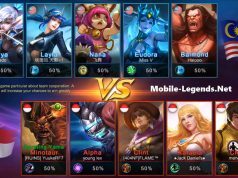 Since Mobile Legends launched, it has been loved and supported by players all over the world. 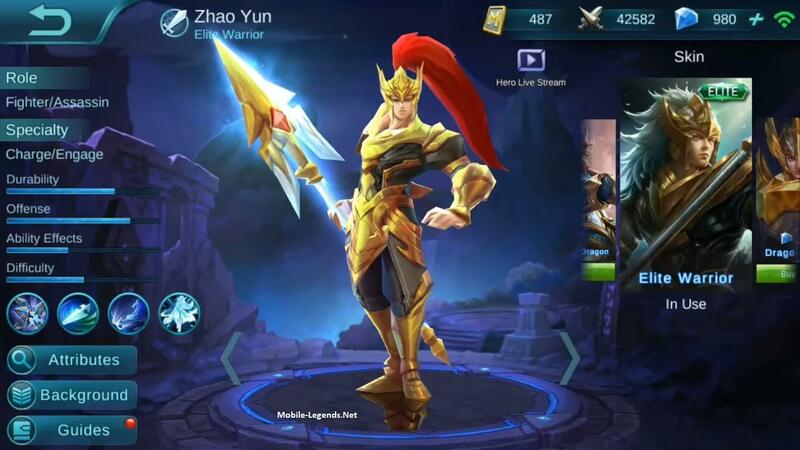 And we always aim to make Mobile Legends a MOBA game for players all over the world to play together. 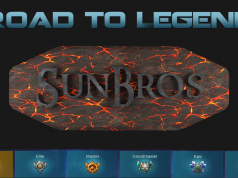 We have made great efforts on bringing all the players together in the game which also brings us a major problem: Lag issue caused by various network situation that we have to deal with. Our DEV team has read every comment and complaint in Google Play, App Store and Facebook about lag. Lag has hurt you and us. Now our tech guys have finally come up a whole new network connection technology which allows players to play the game smoothly even in high ping and packet loss. Let’s battle with the players all over the world! (The switch is only available for Android users in 92 version; IOS users can use it in 94 version). 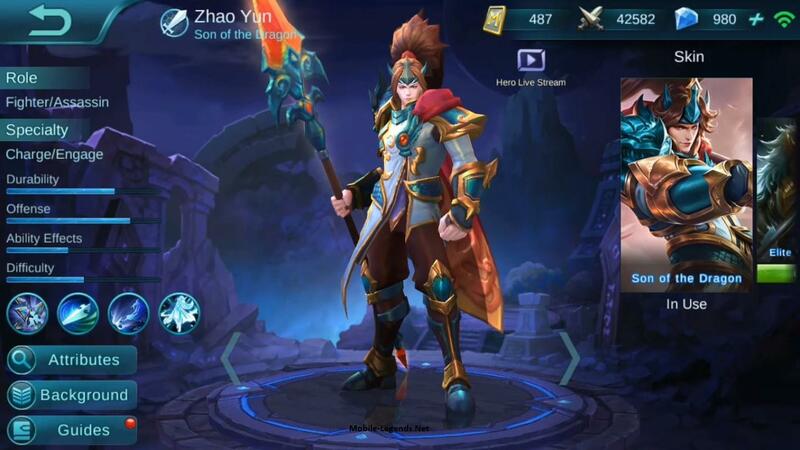 Remade the model of default Zhao Yun. Remade the models, some skill effects, and animations of “Son of the Dragon” and “Elite Warrior”. Dragon Flurry: Improved the skill effect. Spear Flip: Improved the skill effect and hitfeel. Spear Strike: Improved the animation that makes the action smoother; Fixed the bug that he may move parallel while casting on teleporting target. a.1. 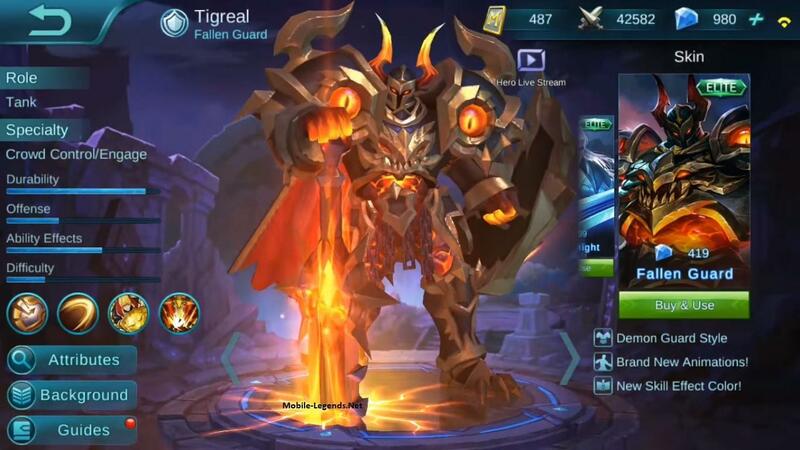 8 Free Heroes: Server Time 2017/6/30 05:00:00 to 2017/7/7 05:00:00 (tap on avatar – system settings to view) -> Balmond, Nana, Akai, Karina, Chou, Sun, Alpha, Yi Sun-shin. 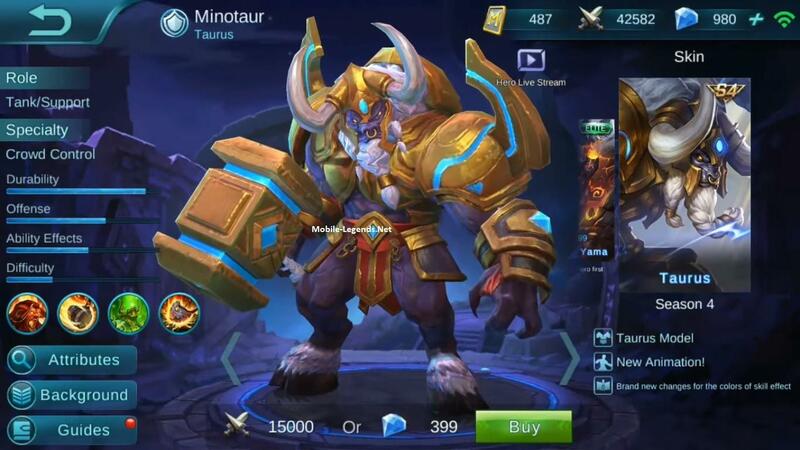 a. Minotaur Skin – Taurus => Season 4 skin. Reach Master or above to get Taurus after the season. 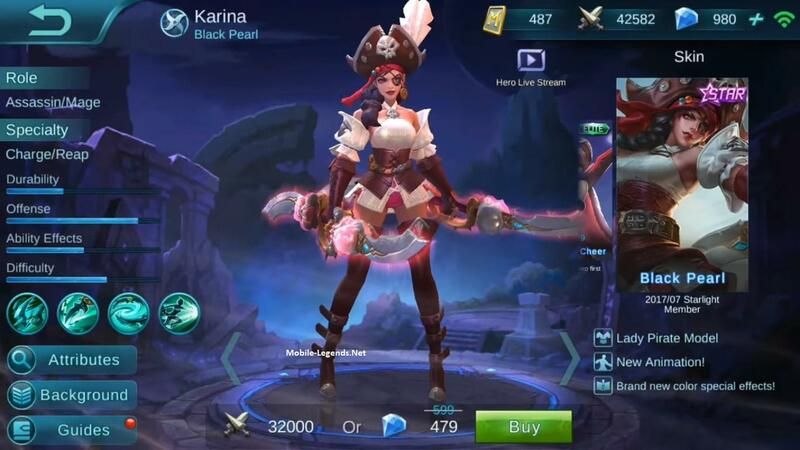 c. Karina Skin – Black Pearl => Purchase July Starlight Member to get it. Adjusted all recommended equipment sets. AP increased from 0.9 to 1. Basic movement speed increased by 5. HP growth increased from 24 to 134. Attack speed growth adjusted from 3% to 2.65%. 1. Enchanted Talisman: Magic attack decreased from 55 to 50. 2. Feather of Heaven: Magic attack increased from 40 to 65; Recipe price increased from 1810 to 2230. 3. Winter Truncheon: Remove cooldown reduction bonus. Physical defense increase from 45 to 50, the total price decreased from 1960 to 1910. 4. Disaster Truncheon: Remove cooldown reduction bonus. ; Recipe price decreased from 2110 to 2060. 1. Killing Spinner grants 50% mana restoration. 2. Minion attack growth increased by 10%. 3. First Turret attack decreased by 7%, armor decreased by 20. 4. Improved Lord’s skill and basic attack sound effect. 2. Improved the description of Ranked Game rules. 3. Increased Star-raising Points – Protection Points increased in high Ranking (Grandmaster or above) to make high ranking players more valuable. Star-raising Points: Increased from 300 to 350. Protection Points: Increased from 450 to 550. Star-raising Points: Increased from 400 to 550. Protection Points: Increased from 600 to 750. Star-raising Points: Increased from 500 to 800. Protection Points: Increased from 800 to 950. 4. New Season is Coming. Adjusted New Season Starting Division rules. 5. Added Limitation on sending.gifts while spectating. Players need to reach Lv.10 to send gifts. 1. Fixed the missing regen effect of the newly added Hermit Crab. The Cambodian server is so bad. The lag is impossible to play 265-285 ping. I’ve tried 3 types of internet and it has the same issues. Especially when the game has multiple Cambodian players in the game. They seem to love the game so everyone plays it but it hurts a lot when your ranking drops because of lag. Please look into Cambodian server. We really having extreme amount of unplayable lag……..